After sustaining a serious injury that prevents you from returning to work temporarily or indefinitely, it’s easy to fall victim to exorbitant medical bills and a crippling loss of income due to the inability to secure gainful employment. There is still hope for disabled individuals in Georgia though, and they may be eligible for disability benefits for their injuries through Social Security Disability Insurance (SSDI) or Supplemental Security Income (SSI), both of which are administered by the Social Security Administration (SSA). If you are suffering from a disability and you are unable to work, contact our experienced Social Security Disability lawyers at Rechtman & Spevak today. Our law firm is located in Atlanta, and our lawyers can help injured individuals in Atlanta, Marietta, or elsewhere in Georgia pursue the income benefits they need to support themselves and their families. Social Security Disability benefits are available to individuals in Georgia whose physical or mental disability prevents them from securing a job and earning a viable income. Individuals in GA who suffer from medical issues severe enough to restrict them from work for 12 or more consecutive months may be eligible for critical benefits by filing a Georgia SSDI claim with the Social Security Administration. The SSDI program is unique in that, in order to qualify for Social Security Disability benefits, the claimant must be under the age of 65 and must have accumulated 20 or more Social Security credits in the 10 years prior to the onset of disability. In other words, disabled individuals can only pursue SSD benefits if they worked previously and contributed regularly to the Social Security insurance program. Supplemental Security Income is a program administered by the SSA that is designed to provide assistance to individuals struggling with long-term disabilities whose medical condition prevents them from working. Benefits available through the SSI program differ from SSDI benefits in that they are administered to an individual based solely on disability, not on his or her contribution to the Social Security Insurance program. SSI benefits are paid monthly and are intended to help cover basic needs like food, clothing and shelter for individuals who are either 65 or older, disabled or blind. 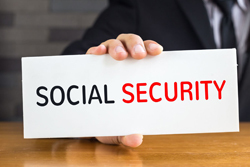 Pursuing SSDI or SSI benefits through the Social Security Administration can be extremely complicated and frustrating, especially since nearly 65% of all benefits claims are denied by the SSA upon initial review. What many people don’t know however, is that a large percentage of denied claims are then approved during the appeals process, which is where the expertise of an SSDI or SSI attorney comes in handy. It’s easy to become discouraged after having your SSDI or SSI claim for benefits denied, but an experienced SSDI or SSI attorney in Georgia can help you navigate the appeals process and pursue the critical benefits you are entitled to. For those individuals in Georgia who are in need of disability benefits, a denied SSDI or SSI claim is one of the most devastating outcomes possible. If you or a loved one has suffered from a disability in Georgia and you are in need of Social Security Disability or Supplemental Security Income benefits, contact our knowledgeable SSDI or SSI lawyers at Rechtman & Spevak today. Whether your disability is temporary or permanent, the benefits provided through the Social Security Administration can help cover the cost of basic living needs and the medical bills and lost wages associated with your physical or mental disability. With the help of our skilled SSDI and SSI attorneys at Rechtman & Spevak, disabled individuals in Atlanta, Marietta, or in other parts of Georgia can file a claim for benefits and pursue the financial assistance they need through the SSA. Call Rechtman & Spevak at 404-355-2688 if you have any questions regarding Social Security Disability.